I’ve been searching for some good children’s books on Eid & Ramadan that are well written and appealing. 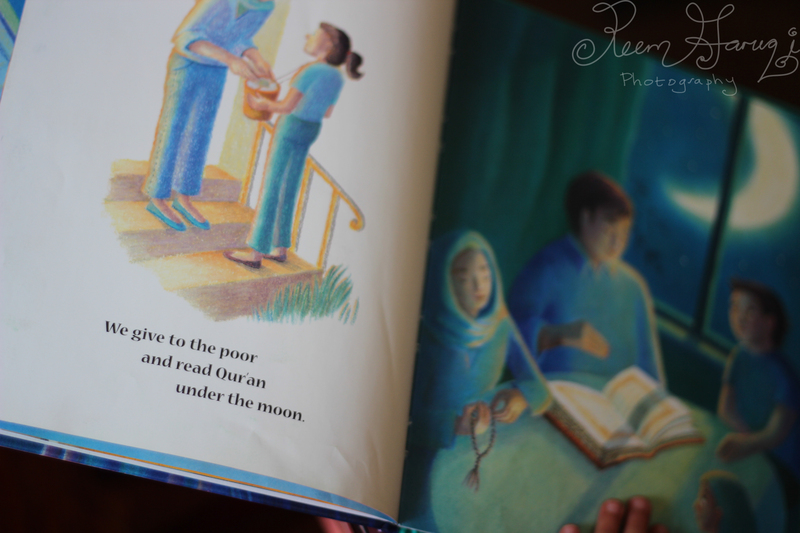 One good read is Under the Ramadan Moon written by Sylvia Whitman and illustrated by Sue Williams. About the Author: Sylvia’s two kids are Arab-American, so she’s interested in raising awareness of Arab culture. 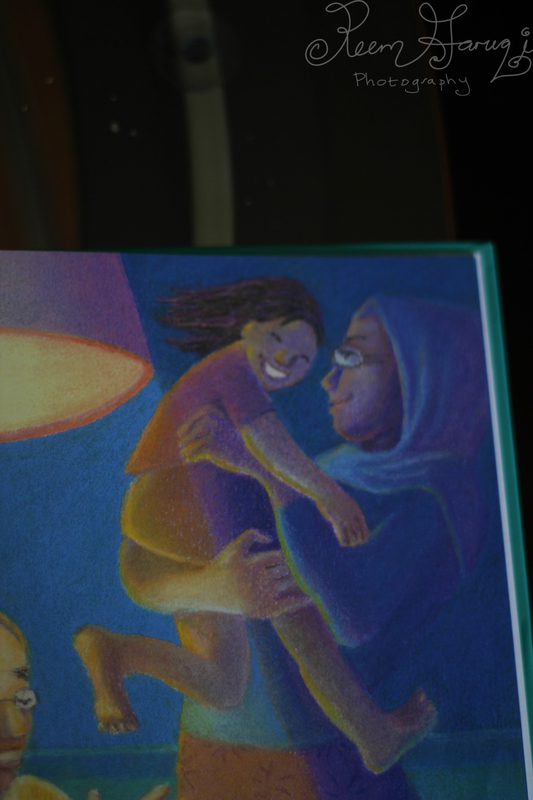 Sylvia lives in Virginia and wrote this story so her son’s classmates could learn how they celebrate Ramadan. You can get in touch with Sylvia on her site here: http://www.sylviawhitmanbooks.com/ and she writes back promptly. Thanks Sylvia! Sylvia’s Happy memory on Writing this story: While working on this book, I illustrated a draft with clipart, and my son, Munir, read it to his kindergarten class. The journey to publication is often hard! It’s easier to get an agent, but finding an agent to take you on can be as hard as finding a publisher. Find books you like and try the same publishers. 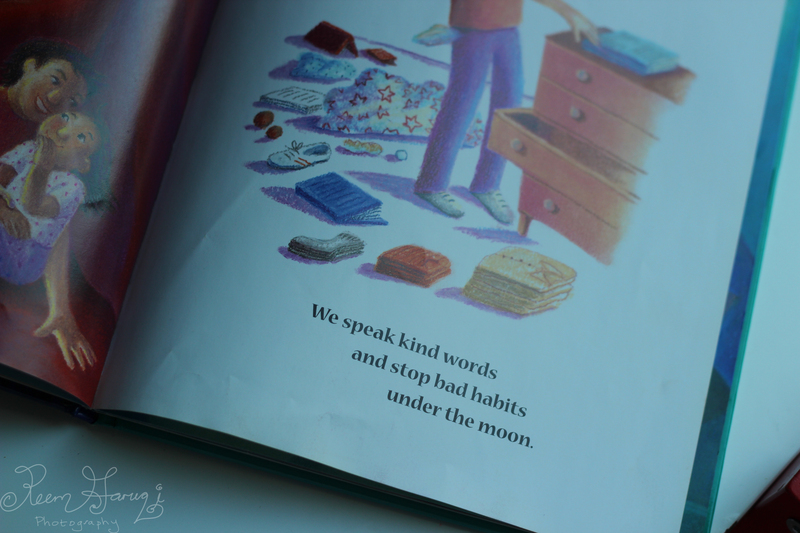 I sold Under the Ramadan Moon from the “slush pile.” Try publishing short pieces in magazines like Highlights or the Cobblestone group magazines to start to build a publication record in children’s lit. Join the SCBWI–the Society of Children’s Book Writers and Illustrators. That group sponsors conferences and supplies lots of info. 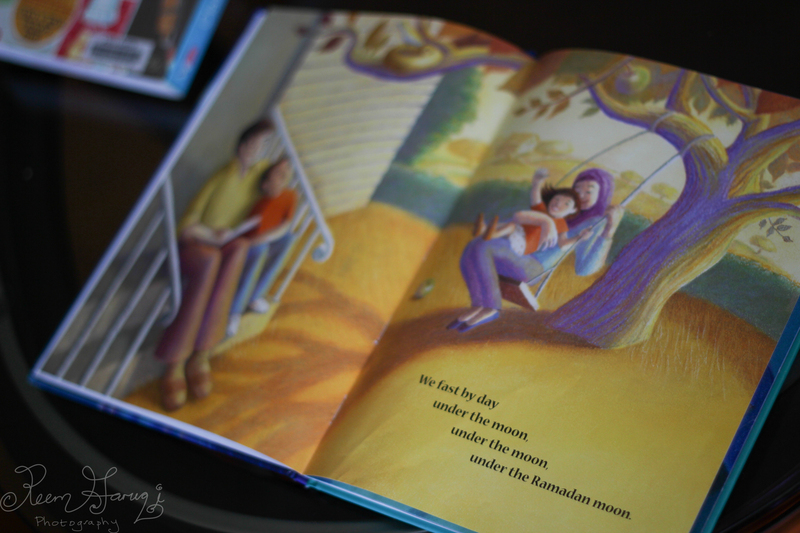 What I like about this book: the lyrical repetition Under the Ramadan Moon makes for a great read aloud. 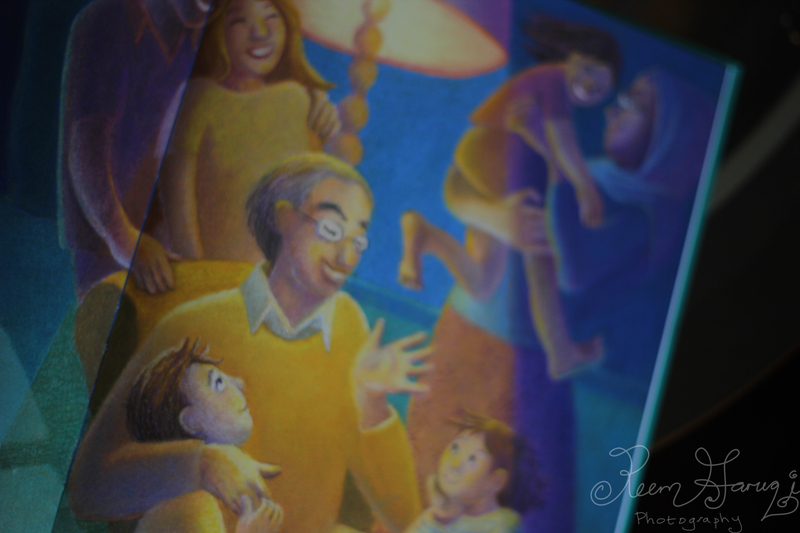 I also loved the illustrations ~ v.soft and inviting. 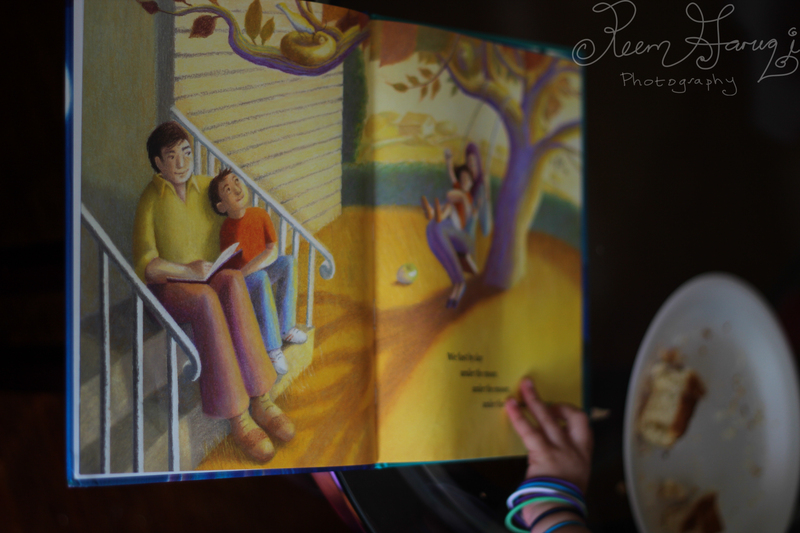 I love that Ramadan is portrayed as a cozy time to make special family memories. Nice perks: The book is simply written. It’s not an overwhelming load of information, but just as appealing as a children’s book should be. At the end of the book is an Author’s Note About Ramadan where Sylvia shares her experience on Ramadan. Also I liked that this book is appealing for preschoolers. Published by: Albert Whitman & Co. Availability: in Atlanta Fulton Library System which is nice as well as Amazon. You can also ‘Look Inside’ the book on Amazon, but I included a few pictures below of Z enjoying this. Will share my other book reviews soon! Thanks! 🙂 Will post one soon!